Anglers fishing during the evening trips have been catching anything from Snapper and Bluefish to King Mackerel and Black-fin Tuna like the 40 pound fish pictured above. With the additional sunlight in the late afternoon, anglers can enjoy a cool transition from the warmer afternoon, into the tranquil sunset and cooler evening hours. Children can have a blast fishing for Lane Snapper, Gray Snapper and Grunts fishing a bottom rig while mom or dad enjoy taking on the bigger game while drifting a sardine or goggle-eye. Please note that no alcohol is allowed during the evening trips. 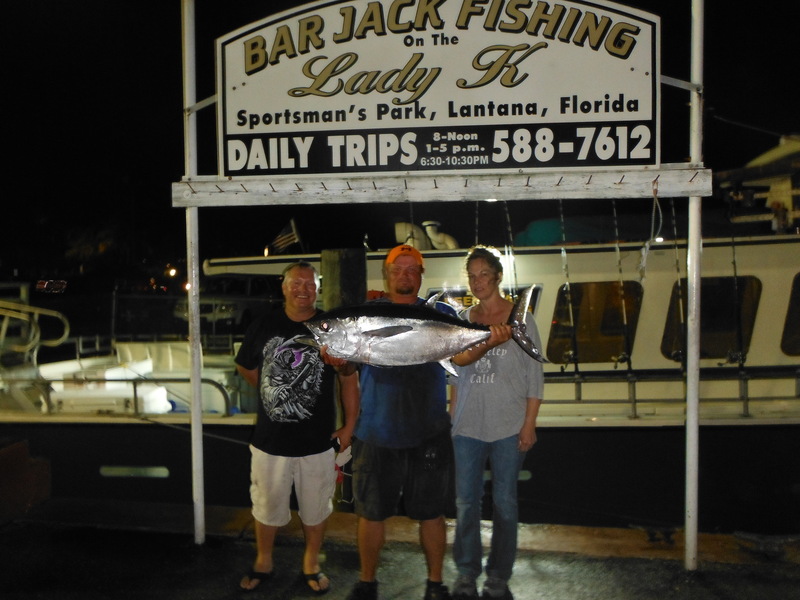 Come on out and catch a good time fishing aboard the Lady K tonight, tomorrow or today!